Twitch Rivals is heating up. 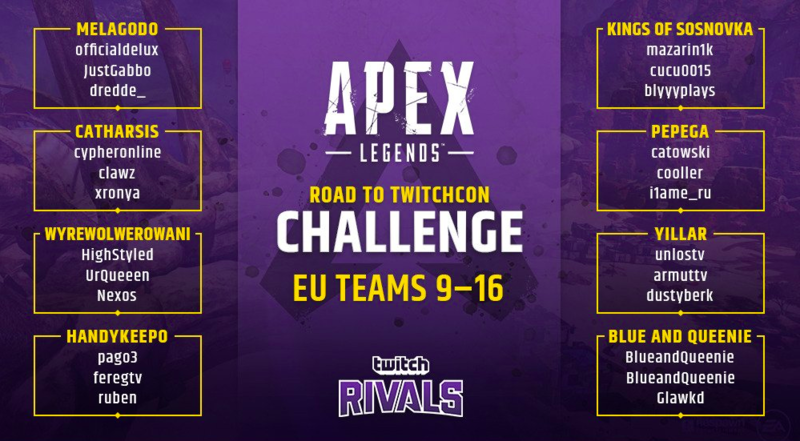 Twitch Rivals is back, and this time, it’s coming to TwitchCon Europe. The streaming bonanza has already set Twitch viewer records, beating even Fortnite to the punch, but now it’s back with a completely new format—and it’s looking better than ever. The tournament will bring together some of Apex Legends’ biggest streamers, pros, and personalities—featuring 96 players from Europe and North America. The first installment of the tournament will be held online as a qualifier for the main event, which will take place live in Berlin, Germany. The specific details haven’t been released yet, but it looks like the top teams from Europe and North America will face off against each other at the Apex Legends Challenge Finals. 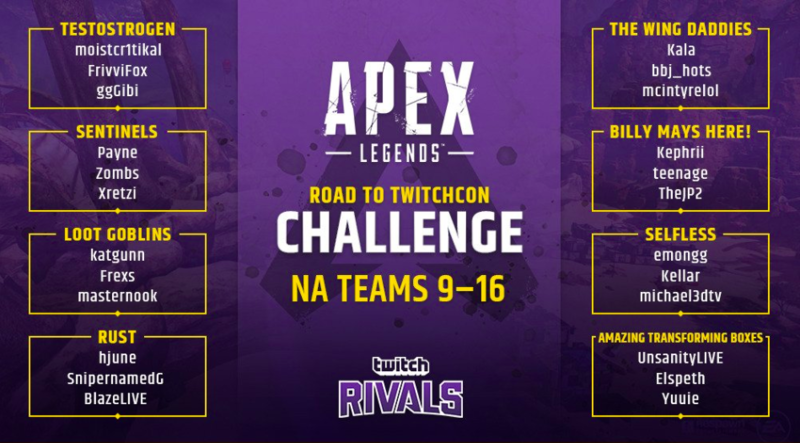 Here’s how you can watch the Twitch Rivals: Apex Legends Road to TwitchCon. The Road to TwitchCon Europe starts with the European qualifiers this week, March. 26, at 11am CT. The North American portion of the tournament begins at 4.45pm. The Apex Legends Challenge Finals will be held live on Saturday, April. 13, at TwitchCon Europe. The precise time has yet to be released, however. The finals will be live on LAN, so it looks like there’s a good possibility that the teams could be fighting each other on the same server. The same point-based system should still be in place, but a different level of strategy may occur. This is healthy for the tournament and will allow for a higher level of competition. The event can be watched on the main Twitch Rivals account, as well as on each of the individual streamers’ channels. Welcome to TwitchRivals’s channel on Twitch. Watch them stream Apex Legends and other content live and join the community! This article will be updated when more information becomes available.